Courtesy of Century 21 Judge Fite Co., Tracey Williams. 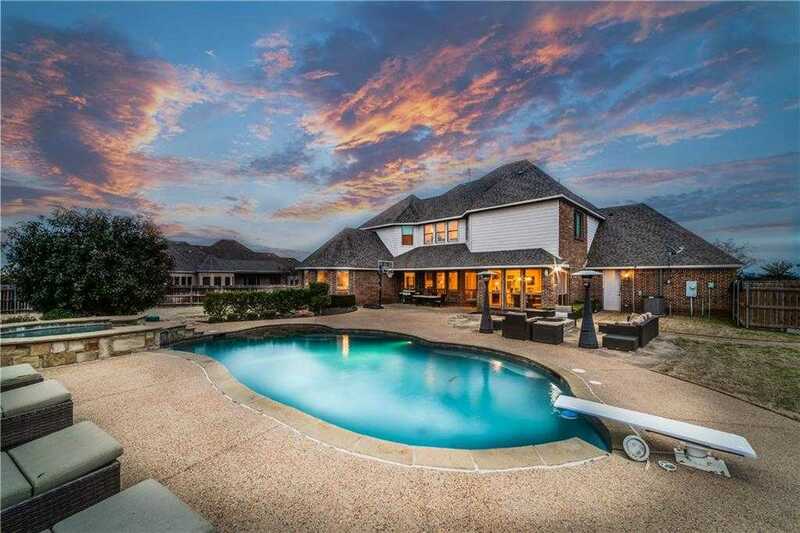 Gorgeous,spacious, majestic home on 1.06 acres!! Beautiful pool with patio area and fire pit. It has 3 living areas and 4 bedrooms. One bonus room that can be used for study, craft, exercise room or extra bedroom. Built in bookshelves and storage in main living area. Master is gorgeous with a sitting area. Master bath is stunning along with HUGE walk in closet. Upstairs boasts 3 bedrooms and 2 full baths with the 3rd living area. 3 car garage with epoxy flooring. Amazing kitchen with double ovens and a sunny breakfast area. THIS IS A MUST SEE HOME! Patio furniture to convey with the sale of the home.